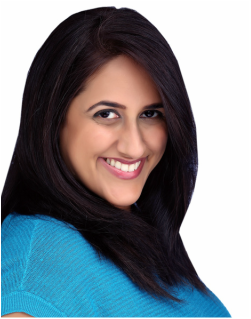 Ms. Chawla is an actress and playwright from the Washington DC area. Before starting CARE Actor, she worked heavily with several arts education programs such as the visual arts program Abrakadoodle and after school drama enrichment program Rainbow Entertainment InterActive Children's Theater. With a long time dream of starting her own arts program and an interest in the nonprofit sector, she pursued a master's degree in Public Administration and Nonprofit Management at George Mason University. In 2008, she conducted a small acting workshop with a group of elementary age children that ultimately turned into the CARE Actor program. On the side, she writes, directs, and acts in plays throughout the region. Most recently she has appeared in The Princess and the Pauper: A Bollywood Tale at Imagination Stage and What It Means to Choke for the WOMXN on Fire Festival at Keegan Theatre. Sisi is CARE Actor's Program Manager and is also a superstar Teaching Artist for the organization. She received her Bachelor’s degree in theatre from University of Maryland where she developed her talents as a multidimensional storyteller. She engages with the creative process of theatre as a professional actor, playwright, director, teacher, and facilitator. She has performed at various venues in the D.C. area, Michigan, and abroad in London and Brazil. She's excited to continue to spread the joy of theatre to CARE Actor kids! Meredith Richard is a professional actor in the DC area. Her local credits include work at Shakespeare Theatre Company, Keegan ,Nextstop and Imagination Stage. She also works periodically as a Special Events Captain at the International Spy Museum. Previously, she worked for SD & A Teleservices Assistant Managing and participating in subscription campaigns on behalf of Arena Stage and the National Symphony Orchestra. She's excited to be rejoining CARE Actor in a new role after teaching classes and helping with camps in the past! She holds a BA (Honors) from London Academy of Music and Dramatic Art (LAMDA) in the UK. Meredith is a proud member of Actor's Equity and was recently voted on to the DC/Baltimore Liaison Committee which assists local union members.